Home » The Law & You » We Booked a Vacation With an Agent But Nothing Was Right. Can We Sue? We Booked a Vacation With an Agent But Nothing Was Right. Can We Sue? A viewer booked a vacation through a travel agency. Once they went, they soon learned nothing was correct. With a ruined vacation, the viewer wants to know if he can sue the travel agent. 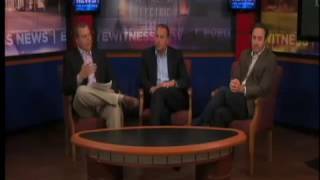 Philadelphia attorneys Greg Fellerman and Ed Ciarimboli explain his legal options. Dave Kuharchik: For today’s “Law & You,” we’re going to talk about an issue with a travel agent. Joining us once again, attorneys Greg Fellerman and Ed Ciarimboli from Fellerman and Ciarimboli in Kingston. Guys, thanks for being here today. Dave: Time for the question, “We booked a vacation through a local travel agency, but when we got there nothing was right. The things we were told were included weren’t. The room rate was more than we agreed to. It was a disaster. I want to sue the travel agent. Can I?” Greg, does this person have any legal standing here? Greg: Well, first let me just say that there is nothing more frustrating than having a bad vacation and having someone mess it up when it’s not your fault. The answer to your question is yes, you can actually sue your travel agent. What’s important though is you really need to make sure you document what occurred on that trip and look at what was promised, because it would be a contract case. The more you document, the stronger your case will be when you have the file, a civil suit. Ed Ciarimboli: Greg brings up a great point, you’ve got to have documentation. At the end of the day, the more documentation that you have of what the travel agent told you, what the rates were going to be, and what you agreed to; Those are going to control any litigation. I urge you to call somebody that has experience in litigation, because there is no question in my mind that a case like that won’t end up in a courtroom. You’ve got to be prepared to be in it for the long haul because it’s gonna be a brawl. As Greg said, there’s nothing more frustrating than when you’re going on vacation, you want some downtime, you want to relax, you want to spend some time with your family and friends, and all the sudden you get there and you’ve been sold a bill of goods that doesn’t exist. Dave: Alright, if you need more help, both Ed and Greg have won awards for their results in the legal world. How can our viewers get in touch with you? Ed: Well, they can find us on our web-site at 714hurt.com or they can call us. Dave: Thanks guys, as always, “The Law & You” is brought to you by attorneys Greg Fellerman and Ed Ciarimboli. To get your question right here on the show, just head over to pahomepage.com.